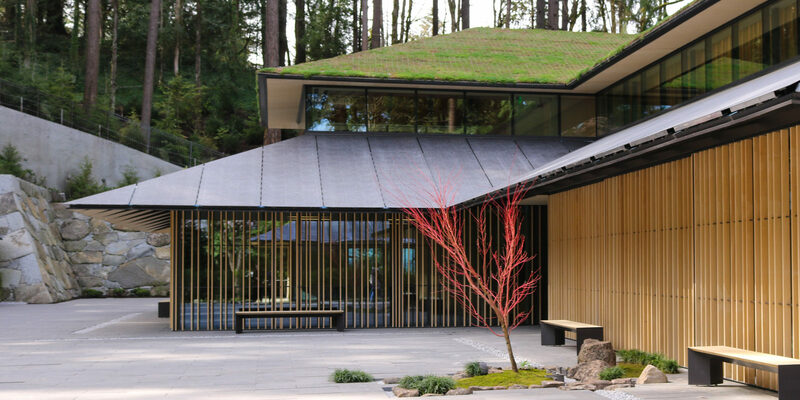 After climbing the hillside via the pathway, visitors arrive at the Atsuhiko and Ina Goodwin Tateuchi Foundation Courtyard that accommodates the new Cultural Village. 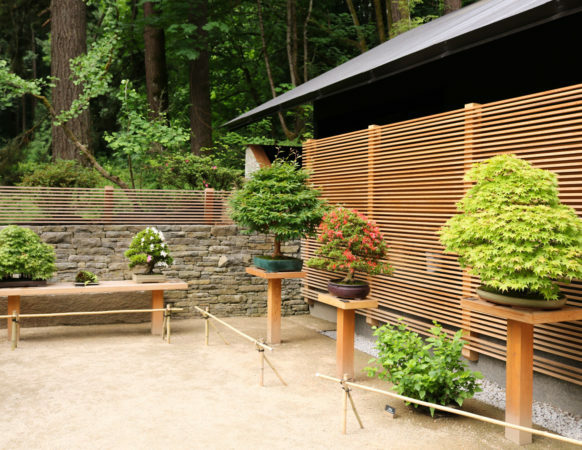 On one side of the Courtyard, a small “vignette” garden known as Tsubo-Niwa (courtyard garden) greets visitors, providing a symbolic and organic “relief” amongst the geometric architecture. 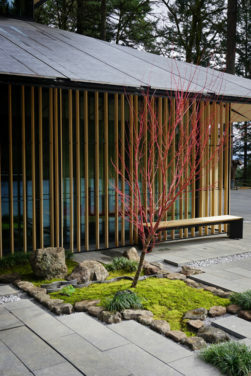 Occupying very little actual space, this tiny urban garden nevertheless incorporates each essential element of a Japanese garden: stone, water, and plants. 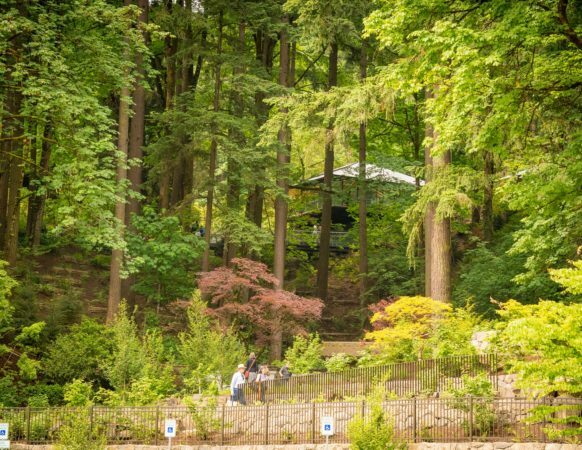 It unobtrusively places nature as the central focus of the Cultural Village. The tsubo-niwa is a garden style that originated in small open spaces between the buildings of temples and aristocratic dwellings as far back as the Heian period (794-1185) and by the middle of the 16th century they had become a feature of many of the urban dwellings of the townspeople who sought to include a touch of nature in the smallest available space of every home.